History - Ray M. Wright Inc. Started in 1949, Ray M. Wright Inc. has been a private family owned business, striving to provide quality that is unmatched. Let us build your home. Son Jack Wright ( Pictured with his wife Anne Wright left) Both work together to provide the excellence. The man behind the name of the company is Raymond M. Wright. 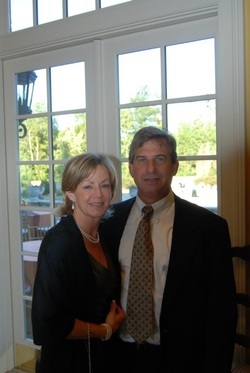 He has long been involved in the building industry and has served as president of local and state chapters of Home Builders Associations in both Georgia and Alabama. 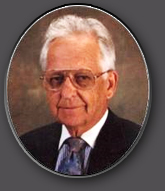 Mr. Wright was a "Life Director" and has served on several committees for the National Association of Home Builders. Mr. Wright, was an award-winning developer, and has been known for 40 years as an innovator in residential development. He was one of only two Georgians to be named to the National Housing Hall of Fame. Now in its second generation, sons Jack and Ernie continually strive to uphold and build on the traditions of excellence established by Ray M Wright. Now in its second generation, Ray's son Jack continually strives to uphold and build on the traditions of excellence established by Ray M. Wright. Since joining the company in 1982 Jack has continued to build on the excellence his father started. In 1995 Jack became the second generation to own and operate the company. With the third generation beginning to develop within the company and over 60 years combined in home building Ray M. Wright Inc. is determined to deliver old school quality at today's competitive prices. The unique aspect of Ray M. Wright Homes is that we are custom speculative builders, meaning that we build custom homes that are built to our rigorous standards, using the latest designing, modern features, best materials and workmanship available. Although we build numerous homes every year, we strive to set ourselves apart from the production and national home builders that use a "cookie cutter" approach to building homes and communities. We pride ourselves not only on our homes but our customer service. We put a premium on our established name in the home building community, realizing the importance of our relationship with our customers. We look forward to offering you and your family a new home in the community you deserve.